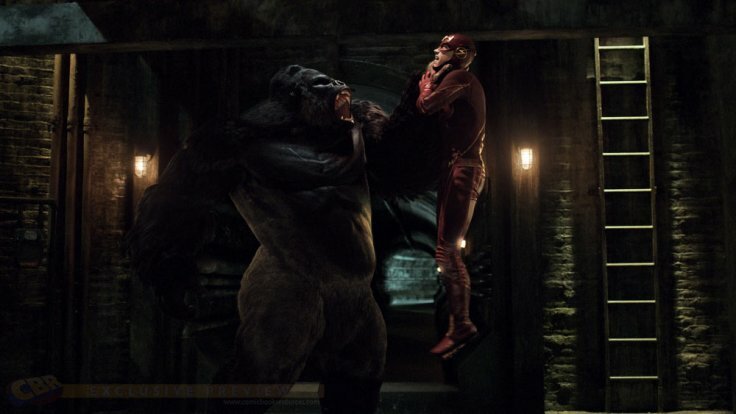 The Flash episode 21 brought us Gorilla Grodd, and how beautiful it was! It’s not easy bringing a psychic, talking gorilla to live-action, but The Flash managed to do it, whilst adding further to the plot of Eobard Thawne (I’m not calling him Wells anymore). So let’s discuss The Flash episode 21! Ever since the Pilot, The Flash has been teasing us about Grodd’s appearance. And now that Eobard is busy plotting away, he needs to distract Team Flash, and what better way than to unleash a giant gorilla onto them. In the comics, Grodd is the king of Gorilla City, and is highly intelligent, and often way too ambitious for his own good. On the show, they have connected Grodd’s origin to Reverse Flash. Eobard Thawne is Grodd’s ‘father’, and is the one controlling him. It would be good to see if further down, Grodd gains his independence and becomes King Grodd like in the comics, but until then, I don’t mind at all the changes they have made to his character. Visually, The Flash episode 21 looked great. On a CW budget as well, the show did a really good job bringing Grodd to life. He was genuinely terrifying, and didn’t look like a joke. 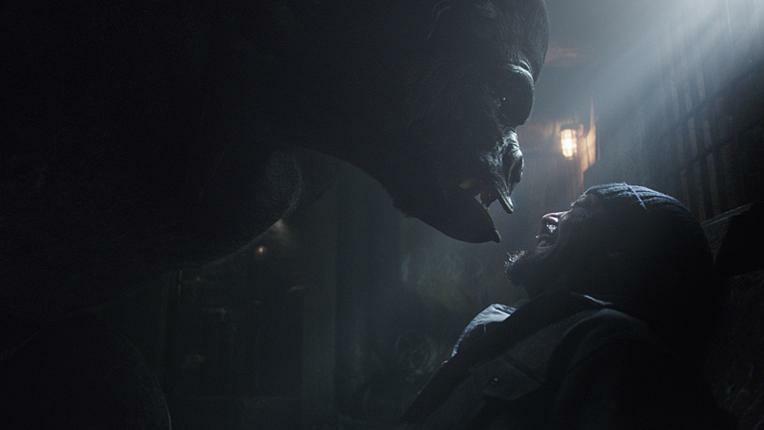 Grodd is still on the loose, so expect to see him again very soon. I also love how they used Eiling in this episode, we were wondering what happened after Reverse Flash gave him away to Grodd. And now Eiling and Barry are almost on the same side, an interesting dynamic to see. Moving on from Grodd, to Grodd’s father, Eobard is preparing for battle. 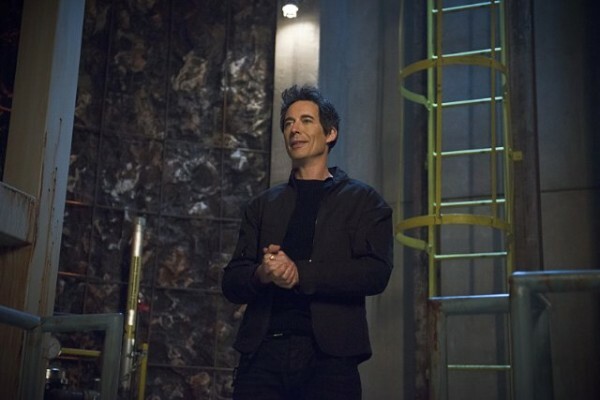 At the end of the episode, we saw that Eobard had built a new particle accelerator, ready to go back home, but not before his confrontation with The Flash. I love how condescending he is to Eddie, gotta feel sorry for Eddie, it hasn’t been a good day for him. Eobard is the master of manipulation, and knows just what to say to get Eddie to crack. The question is, will Eddie crack so far as to becoming Barry’s new nemesis? Barry does get the girl after all, uh oh. Speaking of the girl, welcome Iris to Team Flash! She finally has more of a use in the episodes now, which is a good thing. All though I’m not completely Team Iris just yet, it’s good that she isn’t ten steps behind everyone else now. And she does have a point, not telling her was stupid, how the heck is that supposed to keep her safe? She did get in the way, when she could have helped, and I’m glad she stuck up for herself. I’m curious to know how they will handle her character from here on out, hopefully she’s written better, now that she’s in the loop. Next week, The Flash episode 22 brings us the big confrontation between Reverse Flash and The Flash (along with Al Sah-him and Firestorm). In the promo we also get a cool shot of Eobard’s costume coming out of his ring, oh yes, I was waiting until we saw that happen! The Flash episode 21 showed us that Team Flash are capable of handling stuff themselves without the help of fake Wells, but will they be able to take on Eobard? Overall The Flash episode 21 was another really great installment, that has perfectly built up the suspense for next week’s climax. Grodd was really well done on the show, and I’m hoping that we will see him become more than just a pawn for Reverse Flash. Looking forward to the big battle with one of the best villains on television right now! Arrow 3×22 Discussion: What the heck is going on?